New London, CT – Silver / Petrucelli + Associates (S/P+A) has opened a second Connecticut office at One Post Hill Place in New London to serve southeastern Connecticut. Founded in 1991, the architecture, engineering and interior design collaborative employs 46, with its main office in Hamden. S/P+A’s business during the past three years has increased significantly in New London county. 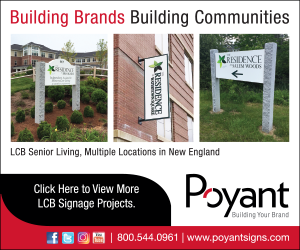 During that time, the firm has designed renovations and expansion to Ledyard’s Gallup Hill Elementary School and Ledyard Middle School as well as the new Emergency Services Center in North Stonington which opened last year. Work at the Coast Guard Academy includes roof replacement on Roland Hall and lighting design for the columbarium. Engineering support for City Pier improvements and design services for the New London Armory have also been completed. Projects at the Waterford Public Library, Norwich Town Hall and the USPS facility round out the firm’s accomplishments in New London county. The firm also began 2019 as on-call architect to the town of Groton Department of Public Works.